Blue Angels Above & Wild Dolphins Below – Best “Dolphin Cruises” of the Year! The sparkling Gulf of Mexico will be your backdrop. You can be awed and inspired as you witness the Blue Angels fighter pilots practice gravity-defying and adrenaline-pumping drills over the waters of Pensacola, Florida. The breathtaking aerial displays performed by the U.S. Navy’s flying precision team offers an exhilarating addition to your Orange Beach dolphin cruise experience. Each time the Blue Angels take flight to practice in Pensacola FL thousands of spectators flock to the beaches and bay waters of Pensacola Beach to watch the show. The car traffic to get near the beach remains epic. 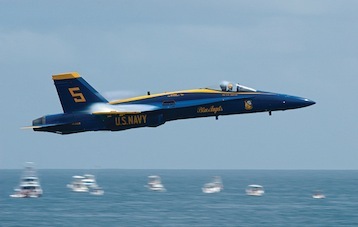 We offer a better way t0 enjoy the Blue Angels. AAA Charters offers Blue Angel Boat Cruises departing from Orange Beach AL. This is a full day of fun, minus the hassle of traffic! Blue Angels & Wild Hearts – A Fabulous Combo for an exciting day along the Alabama & Florida Gulf Coast. These are trips for the memory books! 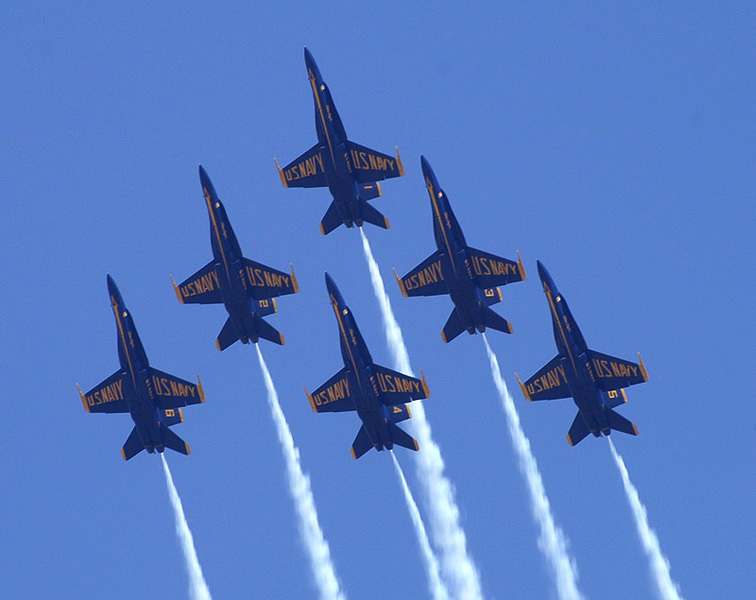 The Blue Angels practice day is scheduled this Tuesday July 22, 2014 and we offer an ideal opportunity to sit back, relax, and enjoy the show. 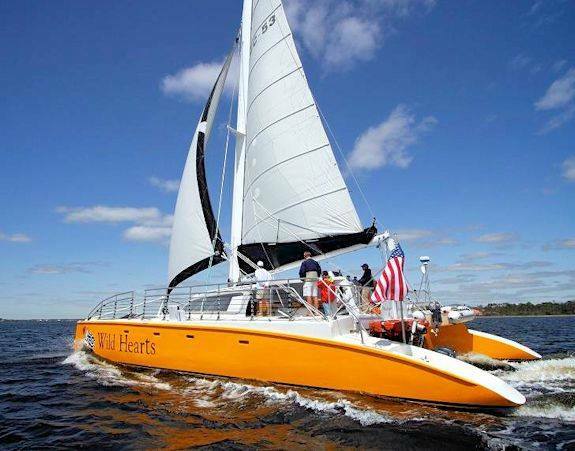 You can board Wild Hearts, a 53-foot luxury sailboat, for a picturesque sail to Pensacola waters. 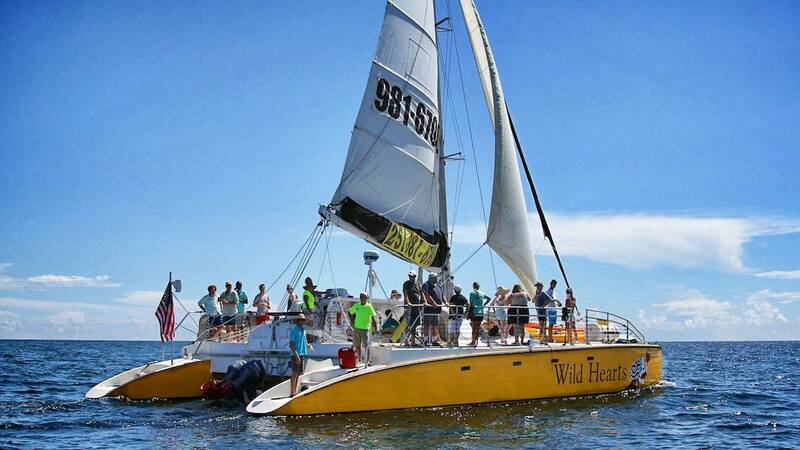 Enjoy a day in the sun as the wind guides Wild Hearts through waterways of our coast with dolphins following nearby. The six-hour trip will be one for the highlights of the Summer of 2014. The crew also brings along kayaks and paddleboards to add to your Blue Angel Adventure. Complimentary water and soft drinks, as well as fruit and cheese platters are offered throughout the sail, and a light lunch is served at anchor. This video was filmed during one of this Blue Angels Cruises July 1, 2014. This is how YOU could spend your Tuesday! This entry was posted in Coastal AL Adventures, News and tagged alabama gulf coast things to do, best of gulf shores boat charters, blue angel cruises, blue angels charters, boat charters for blue angels, charter boats for blue angel air shows, gulf shores al dolphin tours, gulf shores alabama family friendly things to do, gulf shores dolphin cruises, orange beach al dolphin cruises, sailing tours alabama gulf coast, trips to view the blue angels, wild dolphin tour gulf shores AL, wild dolphin tours alabama, Wild Hearts Sailboat on July 19, 2014 by AAACharters Team.